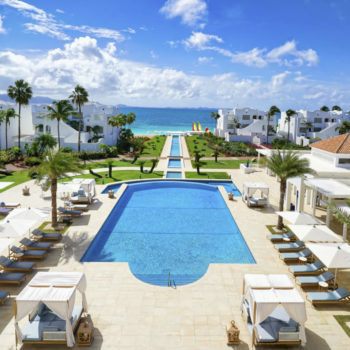 Today, the Four Seasons Resort Lanai has opened the door to hospitality employment for over 500 residents. 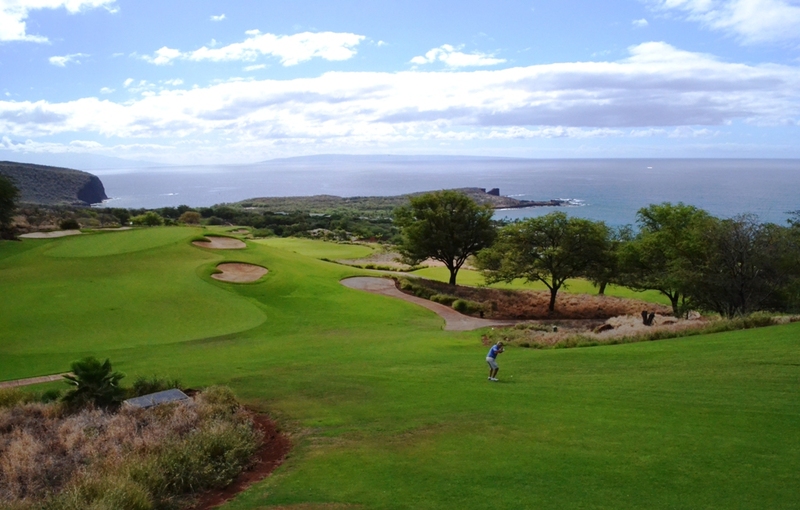 The Jack Nicklaus designed Manele Golf Course also employs another 15 dedicated staffers. 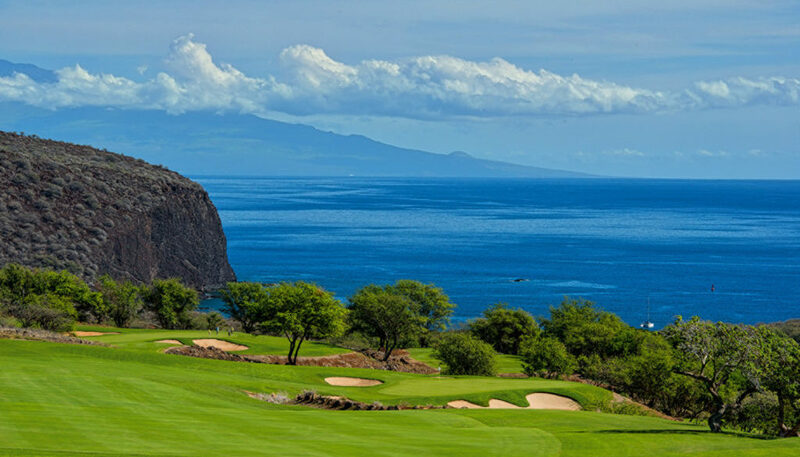 On Lanai’s southern tip, what was once raw land is now a 7,000-yard, 18-hole layout that is considered one of the most gorgeous golf courses in the world. 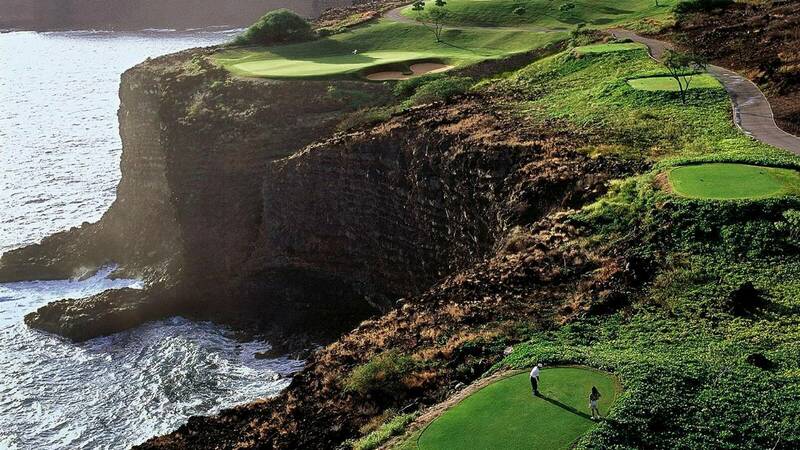 Built on lava outcroppings, sheer red cliffs, and flanked by the Pacific Ocean, Manele Golf Course is a stunning example of Lanai’s ongoing transformation. 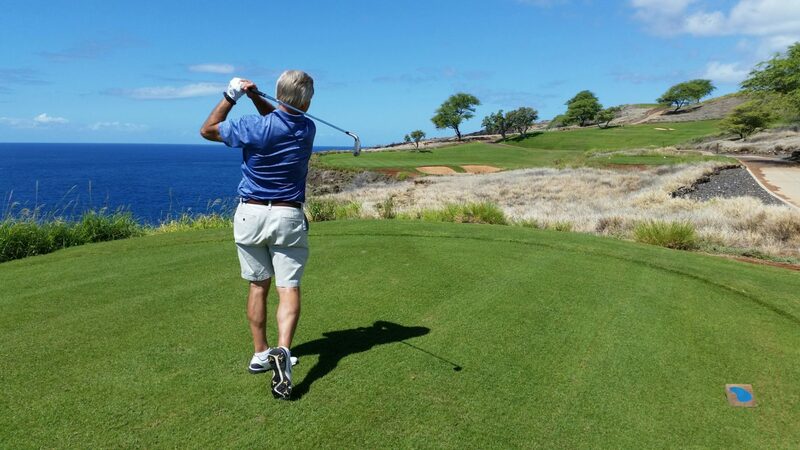 The Golden Bear considers Manele to be one of his finest designs. With nearly every hole offering a glimpse of the ocean, each Manele employee has his or her own whale breaching or dolphin dancing memory to share. What’s grand is that no matter which golf hole you’re playing, you’ll relish a delicious photographic moment, no matter the time of day. Even the Manele practice area delivers an epic view of the ocean, the Four Seasons Resort, and the legendary 80-foot tall PuuPehe or “Sweetheart Rock.” Regardless of where your ball lands on Manele’s paspalum fairways, an added layer to Manele’s visual element is the potential your next shot resides on a spot rooted in Hawaiian history. Manele Director of Golf, Scott Ashworth, is one of the course’s tireless ambassadors. This Washington native’s Hawaiian resume includes stops in Maui, and Kauai before landing in Lanai in 2013. For diehards who love talking golf, rubbing elbows with Ashworth is like 6 degrees of separation from golf’s Who’s Who. 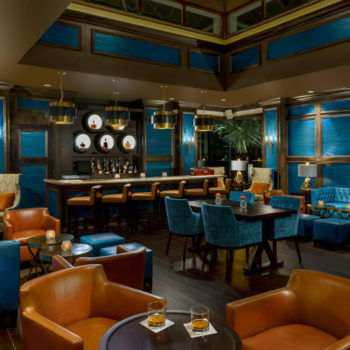 When he’s not pounding the drum on why Manele will take your breath away, he’s explaining why the course’s Views Restaurant offers the most delicious ice cream cookie dessert on the planet. In addition to working in a golf environment that is pristine to the eye, Ashworth humbly admits that from a business perspective he’s found golf nirvana. 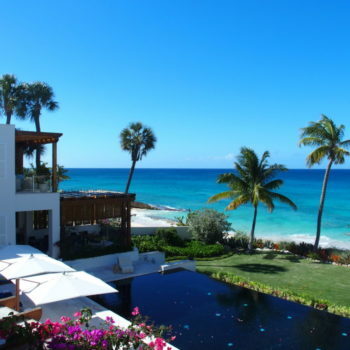 Roughly 98 percent of Lanai is owned by one person, computer mogul Larry Ellison. 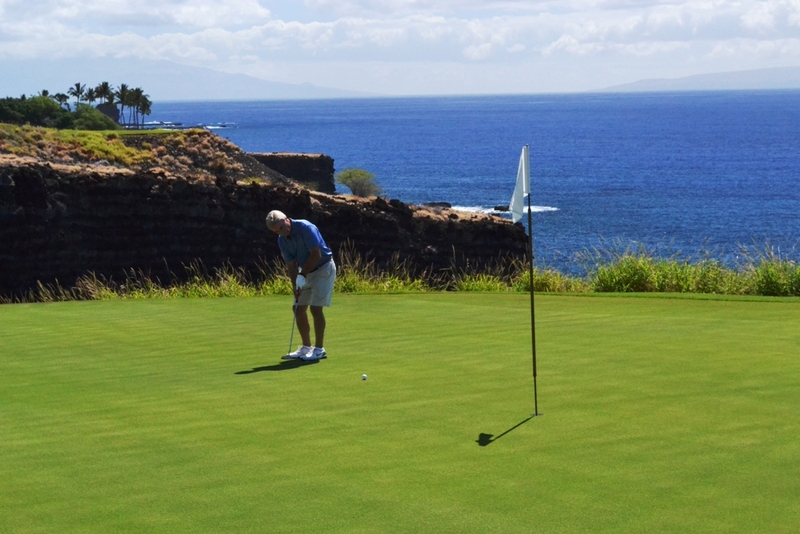 Fortunately for Ashworth and Manele Golf Course, Ellison is a golf enthusiast. 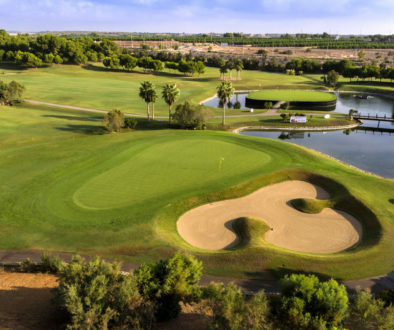 “I’m very fortunate that golf is an area of the resort that has great support. Every high-end touch imaginable can be found here at Manele. 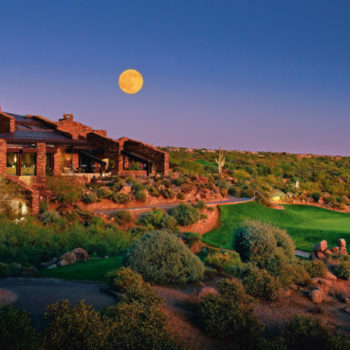 These amenities are all at the fingertips of our golf audience,” Ashworth said. Golfing guests enjoy new Titleist rental clubs, new Club Car golf carts, and there are even a half dozen lithium-powered Golfboards to try if you prefer navigating Manele surfer style. Over 18 holes, a golfer rarely goes thirsty. Before teeing off on the picturesque 373-yard Par 4, first hole, you may desire a complimentary Bloody Mary. At the turn guests are offered a complimentary fresh-squeezed juice of the day. 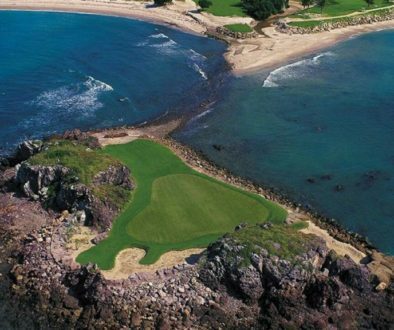 As for golf, you’d be hard-pressed to find another course hosting the number of ocean holes and classic golf shots that come at you in waves at Manele. The extreme elevations begin on the Par 4, 462-yard fifth hole. This hole can be spotted from the clubhouse by looking straight up at a solitary Kiawah tree arching from the northern horizon’s highest point. Once at the top of hole 5, that’s when the roller coaster begins and awe-inspiring scenes appear in breathless fashion. 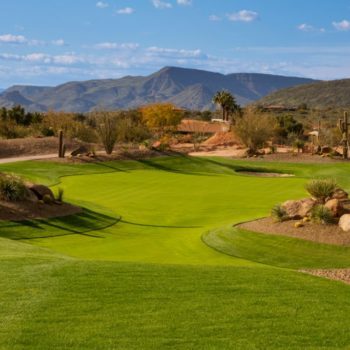 The Par 3, 202-yard, 12th hole will test a golfer’s mettle. Your shot must carry a gaping ravine and avoid the Pacific Ocean on your left. The beauty of this hole is such that Bill and Melinda Gates celebrated their wedding vows on the putting green. If you believe a successful round of golf begins and ends with course management, you’ll love the Par 4, 468-yard 16th hole. Your 16th menu shows an appetizer of ocean and fairway bunkers to your right, a generous serving of bunkers surrounding the green, and a picturesque of entrée of ocean beyond the golf hole. Mix in the occasional submarine doing maneuvers in the Pacific, and the 16th may have you calling in advance for a clubhouse Mai Tai. 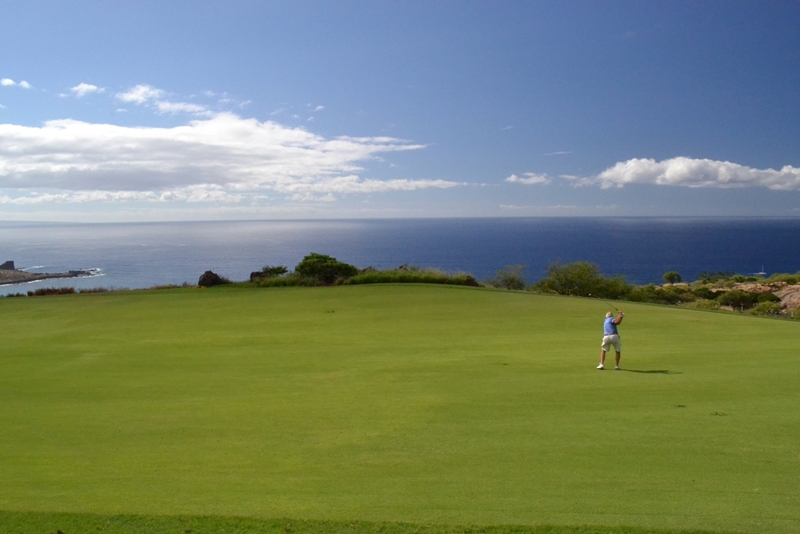 An added dividend to your Manele golf experience is the sheer solitude of the environment. 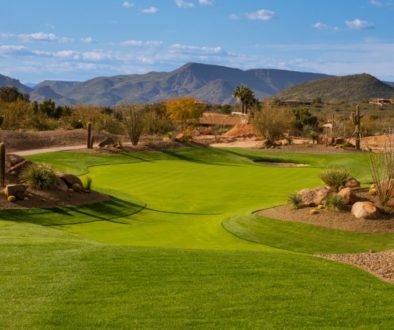 On one of the most beautiful golf courses in the world, there is a decent chance you’ll find perhaps a dozen golfers total playing at the same time as you. In a sport where camaraderie is a lasting legacy, bonding at Manele is when you become one with Lanai’s exquisite version of Mother Nature.